CULTEC NO. 410 NON-WOVEN GEOTEXTILE MODEL # 410 SEPTIC NON-WOVEN GEOTEXTILE - CULTEC, Inc.
CULTEC No. 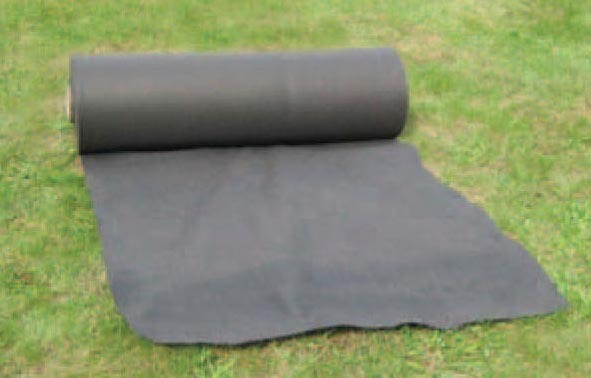 410™ non-woven geotextile is an accessory item used with CULTEC’s plastic septic chambers. Contact area is maximized by the use of CULTEC No. 410™ non-woven geotextile. The CULTEC No. 410™ non-woven geotextile works as a sponge wetting the entire surface area of the chambers in gravel-less installations and also prevents soil intrusion. GEOTEXTILE PREVENTS SOIL INTRUSION AND PROMOTES GREATER CONTACT SURFACE AREA. CULTEC No. 410 is must be used when installing our chambers as a gravel-less system (using sand or soil) in order to prevent intrusion onto the primary leaching area of the CULTEC septic chamber. The fabric is placed directly over the top of the chamber in gravel-less installations. Our filter fabric possesses specific properties which are required for gravel-less installations. The use of alternative filter fabrics may void the product warranty. The fabric works as a “wick” or a “sponge” and allows the effluent to creep up the fabric, utilizing the entire chamber surface for effective contact interface. Much of the available discharge opening may be blocked if no fabric is used-limiting the surface area contact with the surrounding backfill. The filter fabric prevents particulate intrusion in and out of the system during the “ebb and tide” effect that occurs within the chamber system. This is when the chamber itself fills up and then percolates into the ground and then the ground becomes saturated and water/effluent finds its way back into the chamber for storage. The fabric interface also provides a large void between the ribs and is accessible to effluent. The filter fabric interface may also be installed across the top of the trench or bed when backfilling the chambers with stone to prevent soil intrusion into the stone.